Even more provincial and mediocre than the three Italian films in the Cannes Competition was the reaction of the mainstream media in Italy when they woke up to what they perceived and reported to be an unforgivable affront. None of their three contenders won a prize. National mourning was semi-officially declared, for a few hours that is: film critics, cultural pundits, and experts on all matters flocked to the delirious tribunes of radio, television, and newspapers to air their outrage. Needless to say, most of them weren’t even in Cannes, which means they hadn’t watched the other films in competition. But that’s not a requirement in order to take part in the cultural debate in Italy: the louder and more nonsensical, the better! Children fighting over who deserved to win a game of football are likely to have more common sense than the participants in this deformed cultural circus. It’s a spectacle of rare, surreal beauty, far more enthralling than a Paolo Sorrentino film, one that the non-initiated might find unfathomable. Yet it realistically exemplifies the state of Italian cinema and culture in general, this grovelling need to be recognized abroad in order to validate one’s national production. But when these all-desired accolades are not bestowed, the most grotesque forms of patriotism take centre stage in all their oratorical idiocy. The problem with Italian cinema is not, of course, that it didn’t win any awards in Cannes, but that instead of focusing on critical or satirical introspection, it constantly seeks outside recognition. This attitude, which Franz Fanon would have termed as “the black skin-white masks syndrome,” or the need to appease those groups towards which one feels a sense of inferiority, is to be found in at least two of the three Italian films in the Cannes Competition (Nanni Moretti being way too busy pondering his own navel to even consider that there might be someone on this planet that doesn’t adore him unconditionally). The globalized casts of both Youth and Tale of Tales are not the legitimate and healthy outcome of transnational influences, cinematographic migrations, or the encounter of different modes of film production. They are instead a pathetic and calculated attempt to gain international recognition by availing one’s own film of misplaced star power. The immediate consequences of this parochial operation, the intrinsic merits or lack thereof of the films themselves notwithstanding, are rather embarrassing. There are thick accents awkwardly trying to sound “English” aplenty in Tale of Tales, with maladroit linguistic transpositions, and so, injudiciously, forth. This childish infatuation with “the foreign” typical of the (culturally) colonized is evinced by clumsy choreographic choices, impersonal direction, and a tendency to heavy-handedness that suffocates the basic intention of the films. It’s as if the vain eagerness to achieve something is more urgent than its elaboration (something rather common in contemporary cinema). So while allegedly accessing the higher echelons of world cinema, thus benefiting from bigger budgets, the films resemble fruitless advertising campaigns, advertising nothing but themselves. In the case of Sorrentino, what might have been initially mistaken for talent has regressed into an airtight container of formulaic empty gestures, self-parodies of his own artistic immodesty. Suffice it to say that in Italy there is an automatic internet generator of Sorrentino’s scenes, an ironic blog (Libernazione.it) that perfectly illustrates the vapid and preposterous craft of a fundamentally ridiculous director who continues to be taken very seriously by many. Youth confirms the descending parable of the Neapolitan director who, blinded and galvanized in equal parts by success, has created his own market niche not from nothing, but literally of nothing. The subject of the film, if there is indeed one, is not youth but old age, but it could as well have been about beekeeping and the film wouldn’t have changed significantly. What in The Great Beauty was already the clear sign of a full-blown pathology has developed, in Youth, into a metastasis. Critics of Sorrentino often point out the discrepancies between the strength of his visual flair and the weakness of his storytelling. Yet the screenwriting and cinematography of his films make perfect sense together, one pompously trying to disguise the shallowness of the other. This is, after all, the fraudulent essence of his cinema. The dialogue is reminiscent of a Mexican telenovela as written by an existential teenage novelist, and the visual accompaniment not dissimilar from an advertisement made for a luxury brand. The “philosophical” subtext of Sorrentino’s latest effort, its trite meditation on the passing of time, seriously verges on the ludicrous. 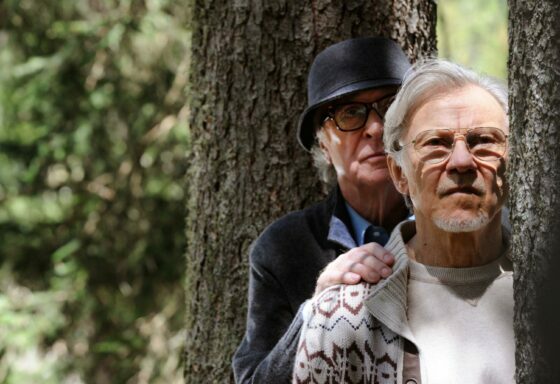 The perpetual need to create art even as life draws to a close, as enacted by two swollen prostates (Harvey Keitel and Michael Caine) in a Swiss resort, is really too much. At a time when all forms of creativity are subjected to the blackmail of visibility and success, is this all that Sorrentino has to say? Perhaps we should see Youth as one of the incontestable signs that creativity is indeed becoming a privilege for the chosen few. The aseptic indulgence that pains every scene, every exchange between the actors reveals precisely what this film is all about: nothing, the void. Art as the expendable reproduction of itself for its own useless sake. At some point Sorrentino even has Jane Fonda playing an aging Hollywood star and uttering the quintessential platitude: “Television is the future of cinema,” or something along these lines (Sorrentino being busy working on a TV series co-produced by Sky Italy and HBO). It will be interesting to see how Sorrentino deals with a medium that has made screenwriting into its lynchpin. Diseases tend unfortunately to be contagious, and even a director who had shown precocious abilities of a certain interest like Matteo Garrone seems now to be on the same route of celebrated decline. Before gaining international notoriety with Gomorrah (2008), Garrone had in fact made a couple of very interesting films, The Embalmer (2002) and First Love (2004). Horror/love stories without gore or explicit violence, these two films could be defined as lone representatives of a Neue Sachlickeit that never was, works of sinister realism inhabiting a visual universe so ruthless that it bordered on morbid voyeurism. They were imbued with a frozen anguish, as, with the eyes of a pathologist, Garrone was able to conjure intoxicated atmospheres of unique pertinence to the dark corners of romantic relationships. 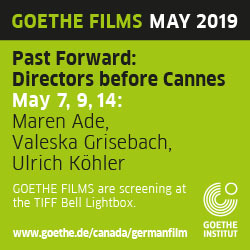 Less present in his two previous “Cannes films” (Gomorrah; Reality, 2012), these elements have completely vanished in Tale of Tales, an uneventful and paralyzed episodic fantasy whose stories are lifted from Giambattista Basile’s 17th-century work of the same name. One sees Vincent Cassel falling for an old wrinkly lady hidden behind a door, another has Salma Hayek eating a sea creature’s heart so that she can get pregnant with an albino. Another one features Toby Jones getting into a rather morbid form of flea-keeping while sending off his daughter to marry an ogre. Cassel’s wig should have won the Palme d’Or for most hilarious prop, while his chivalrous, hot-lover antics are probably better suited for a YouPorn video. Thanks to very good CGI and a diligent DP (none other than Cronenberg regular Peter Suschitzky), the film looks pleasant if you’re into Middle Ages fetishism, dragons, albino twins, abusive ogres, and that sort of thing. The way Garrone elaborates the source material is pedantic in its refusal to give a moral dimension to the stories (something missing from the original). What is the point of drawing on archetypical forms of storytelling if their transposition fails to meaningfully relate to the present time? 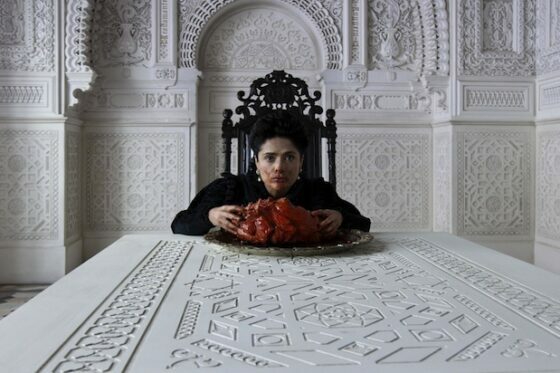 Like many films these days, the only good question Tale of Tales raises is: Why was this film made? The answer is anything but clear. Garrone’s latest is an overall dull and explicative film that, despite its fairy-tale nature, leaves very little to the imagination. Even Toby Jones lovingly tending to an oversized flea feels somewhat stodgy. If any merit should be ascribed at all to Nanni Moretti’s cinema, that would be to have celebrated the irony-less cult of the self far before the word “millennials” entered the vocabulary of marketing gurus. His early films, though already suffering from an indigestible dose of self-obsession, were also about an historical moment and the generation that was trying to survive it, but the rest of his oeuvre lost any connection with anything outside the orbit of his own cheerless self. Mia Madre admittedly is a welcome exception in his cinema of autistic self-reference, but shows how difficult it can be for a man in love with himself to convincingly frame something outside of his maniacal control. This something being the imminent death of a beloved one, his mother to be precise. A film director (Margherita Buy) working on a lame social drama about workers occupying a factory plays Moretti’s alter ego as she struggles to make sense of her mother’s impending death as well as the pointless film she’s working on. Moretti himself plays her self-sacrificing brother, the balanced and caring one, of course. The disappearance of the person that brought you into this world can indeed be a devastating experience, but the way the protagonist deals with it seems somehow at odds with her character’s demographic. On top of this existential inadequacy comes, like the executioner’s axe, a fundamental inability to build any kind of momentum, be it emotional or narrative. The film alternates between reality, flashbacks, dreams, and hallucinations as experienced by the protagonist, only to get immediately tangled in itself as both directors—Moretti and his alter ego—deliver a mess of a film that remains illegible as the chronicle of wo/man’s painful travail. Thanks and praise to John Turturro for bringing some comedic solace to an otherwise burdensome film. Over in Un Certain Regard was another “Italian” film, though in this case the national label hardly makes any sense, if it ever does. Away from the gangrenous nepotism and mafia-like favouritism that govern the film industry in Italy, Roberto Minervini has found a way to transcend his accidental birthplace and its current idea of cinema. The Other Side is set in Louisiana, among the communities of white lumpenproletariat very much removed from the redeeming connotation that this Marxist formulation would suggest. Minervini has been observing these communities throughout his filmography with neither ethnographic pretensions nor sentimental bias, counting on that rarest of all aesthetic devices: human empathy. His camera, always discreet yet not at all detached, frames the world in front of it with no theories to prove or political prejudices to confirm. There is instead a humble curiosity that allows the director to enter his characters’ universe without imposing his point of view, letting the dimensions of their lives come through as naturally as recorded life can be. The social context of his films is never the focal point—the emotional vexations of the protagonists are what gradually emerge from his penetrating observational perseverance. The Other Side is ostensibly split into two parts, the first one following a meth-head and his girlfriend while the other enters a community of ultra-libertarians getting ready to fight the American government before, they believe, it cracks down on them. The two “chapters” share something that goes beyond their social and geographical setting, namely the ability to disclose the humanity inherent in situations that the average art-moviegoer wouldn’t hesitate to consider inhuman. This seems to be the highest achievement of Minervini’s cinema, namely the successful obliteration of the cultural prejudices that a filmmaker inevitably comes equipped with. In The Other Side the spectator enters a world alien from his own with a subjective purity that is something much more precious than what “European” films usually have to offer. It is that basic formal honesty that makes The Other Side a film to be felt and experienced for what it does to you rather than for what it is supposed to mean. This is a lesson in expressive probity so many filmmakers, not only in Italy, would benefit from. Instead of witnessing so many attempts at seeking the alchemical perfection of arthouse marketing, it is refreshing to see that sometimes films get made because someone has something to say or to show to us. 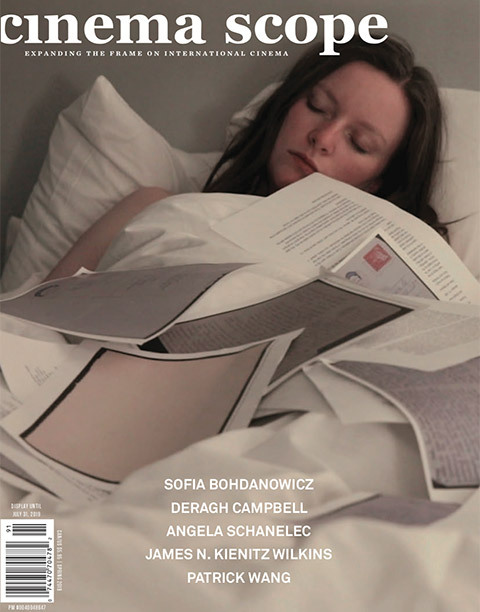 Issue 63 Editor’s Note Cannes 2015: My God, It’s Full of Stars!